Social media and inbound marketing go together like hand in glove. 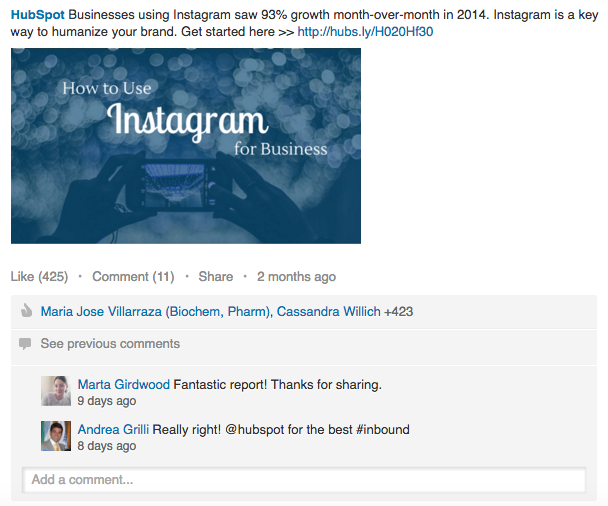 The major social channels for inbound are Facebook, Twitter, LinkedIn, YouTube and Instagram. 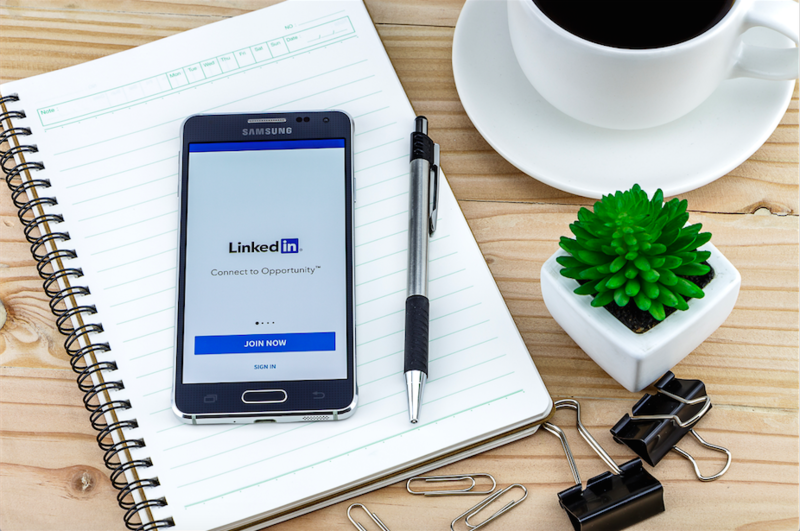 This post will focus on the third most popular of these platforms; LinkedIn — with its 100 million monthly active users and its professional focus, lends itself perfectly to B2B inbound marketing. 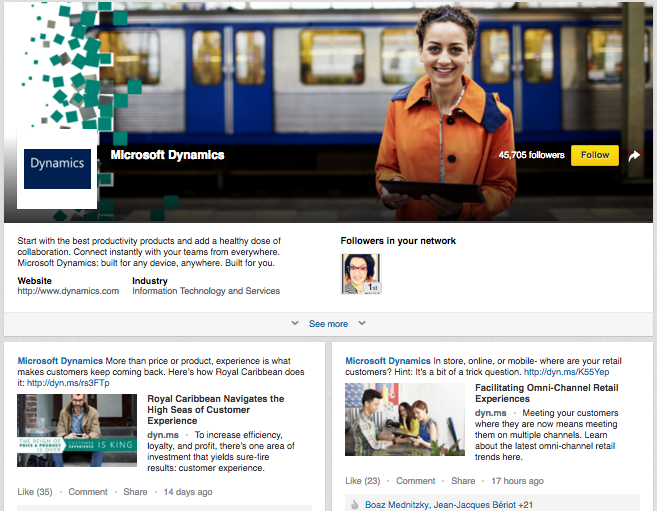 Are you using LinkedIn to its maximum potential? Read our 6 steps to successful inbound marketing for companies on LinkedIn. 1. It's time (for your Company Page) to shine! Your LinkedIn Company Page can be seen as another website for your brand, and part of your overall online presence. As such, it should present your company in the best possible light and create a positive first impression. Upload your logo as your avatar and create an appealing header image that’s eye-catching and consistent with your brand’s corporate identity and style. Next, write a summary of your company, what you do and the products and services you offer your customers. Include anything that sets you apart, like USPs, awards, accolades or even your mission. The company bio section is also a SEO opportunity, both in terms of Google search and within LinkedIn itself. Place keywords to do with your industry, company type and location in your bio, to give people the chance to find you when searching for companies of your ilk. Using the optional Careers tab, you can also engage in employer branding and advertise current openings within the organisation. LinkedIn updates can function as an exercise in branding or a way to share news or content with your followers. They can offer value in terms of information and insights, or they can be motivational and inspiring. For the purposes of inbound marketing, LinkedIn updates should attract traffic to your website. First and foremost, this comes down to publishing engaging content that will resonate with your audience. Second, it’s about promoting it in an engaging way. First, decide whether you want to send your update to all followers, or just a subsection of them based on industry, job function, location, language and other criteria. Second, ensure there is a featured image attached plus strong copy to lead in to the update. Try something witty or simply informative to allude to what can be learnt by clicking on the URL. Experiment with different styles to see what works best with your audience. As a Company Page administrator, you have access to data on the performance and traction of your LinkedIn activity, via the Analytics Tab. This will give you insights into what’s working well and what isn’t. For each update, you can view the number of impressions, clicks and interactions, plus the engagement rate (number of interactions plus clicks plus new followers acquired, divided by the number of impressions). As an inbound marketer, clicks through to your website and visitor-to-lead/visitor-to-customer conversion rates will be your most valuable metrics for your LinkedIn marketing. There are also Reach and Engagement graphs, showing the number of people who see your updates (organically or paid) on a daily basis, and the number of times people who engaged with your updates, that is clicked, liked, commented on or shared your content. 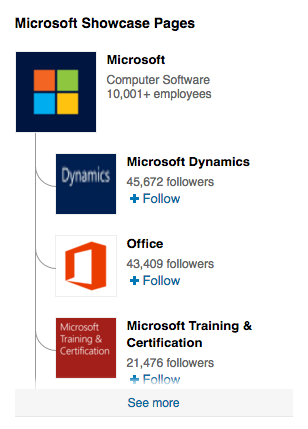 In the Followers and Visitors sections of LinkedIn Analytics, you can check the numbers and demographics (job function, seniority, industry, company size etc.) of the people who are interested in your page. All of this can be used to gauge the effectiveness of your LinkedIn marketing, as well as telling you information about who you’re marketing to, and whether you are reaching people that fit into your buyer personas. If your brand has various products or solutions under its belt, you can create separate Showcase Pages for these, like you might on your website. People can then follow these pages without necessarily following your main Company Page to keep up with relevant updates. Creating Showcase Pages means you can highlight the various avenues of your company and share tailored content with segments of your target audience. If you have a marketing product and a sales product for example, Showcase Pages allow you to direct marketing-related content to those interested in marketing, and sales resources to the salespeople. This is perfect for inbound marketing purposes, as it means you only hit the right people with the right content, and they don’t have to wade through irrelevant updates to find what they need. You can create a Showcase Page by selecting this option from the Edit dropdown on your Company Page. Creating and joining LinkedIn Groups can be a way of building a community of brand evangelists, establishing your brand as a thought leader and drumming up ideas for content. When people are searching for interesting groups to join and yours comes up, people will associate your brand with value-adding resources. Setting up your own LinkedIn Group around a relevant industry-related topic can serve as a valuable resource for information, with the ability for you and your community to start and join discussions on a range of subjects. Before setting up your own, get acquainted with other LinkedIn Groups related to your industry or services by joining them and participating in discussions, again presenting your thought leadership. 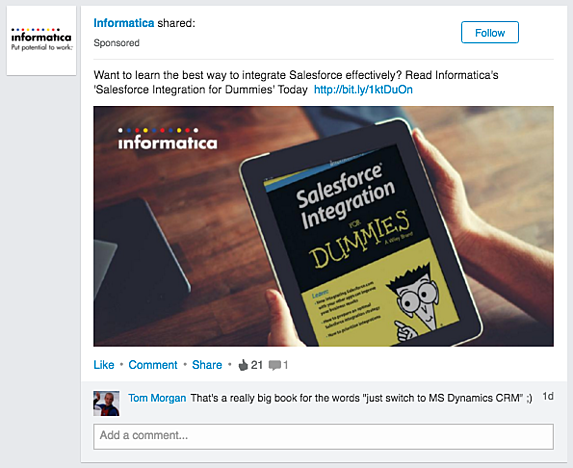 Advertising on LinkedIn can take two forms: Sponsored Updates and text ads. Sponsored Updates appear in LinkedIn users’ feeds and tend to be used to promote content, whereas text ads appear in the sidebar on all pages and are typically used to promote offers, products and services. For B2B inbound marketing, LinkedIn is ideal since 400 million professionals use it. Whatever your industry, it's likely your target audience is spending time browsing and searching on LinkedIn. LinkedIn ads are often overlooked in favour of paid advertising on Facebook and Twitter, because it’s more expensive. 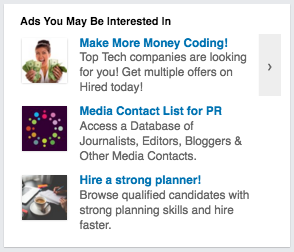 But what makes LinkedIn ads worth the extra cost is the precise targeting options available due to detailed professional profiles (including details like job role, industry and so on). Leads generated via LinkedIn can be of a higher quality as a result, giving you more qualified leads and stronger conversion rates.